Late last week leaker Evan Blass revealed an image of two upcoming Moto Mods that would be released for compatible devices. One of these was an Amazon Alexa speaker while the other was a Polaroid Insta-Share printer for your photos. While we haven’t seen anything official about the Polaroid Moto Mod just yet, Motorola has just officially announced the Moto Smart Speaker with Amazon Alexa built into it today with a price tag of $150. Motorola has said they’re not giving up their modular design for Moto Mods anytime soon and unlike LG, they are continuing to pump out more mods for their customers. Some people would say they are priced a bit too high, but you can’t argue that a few really do add some much desired functionality to a device. Today, the company has announced another speaker Moto Mod but this one is smart since it has Amazon Alexa built into it. Due to the size of the Moto Mod, it’s clear that this is meant to be used as a stationary device since it will completely cover the camera on the back of your device. 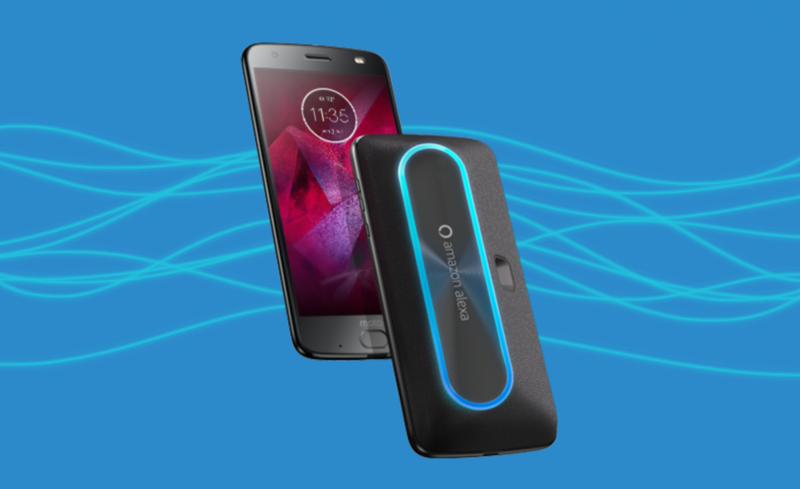 Granted, you could still use it on the go, but you lose out on the ability to take a quick photo since you have to snap this Moto Mod off the device first. Still, having Amazon Alexa integrated into a smartphone is something that a lot of people want and it allowed HTC to make a lot of headlines recently. We don’t have an exact release date for the Moto Smart Speaker with Amazon Alexa Moto Mod, but Motorola does say it will be available sometime in November in the markets where Amazon Alexa is also available. The company plans to price the Moto Smart Speaker at $150 at launch later on next month.